I’m writing to provide an update on our organization-wide success with our huddle boards and the regular huddle meetings that have become an increasingly important part of BCH since May 2016. Our huddle meetings and huddle boards help us regularly listen to each other’s concerns and ideas; improve care, safety and the patient experience across the BCH network; and increase employee engagement and satisfaction. Huddle boards are a tremendous tool for team communication and are available 24/7, offering all staff the ability to quickly understand critical issues, celebrations and priorities for the day — regardless of shift. Importantly, our huddle boards connect your individual work area’s daily operations to our organization’s strategic priorities. Using performance improvement metrics that are meaningful to individual units/departments allows us to achieve improvements every day that have a direct impact on our patients. The huddle meetings create a communication loop between individual staff, coworkers and management, promoting a culture of continuous improvement. They are very much in alignment with our "BCH Listens" initiative — creating a culture of actively listening to each other as well as our patients to create and care for the healthiest community in the nation. Also, when management council members round on units and departments, they can stop by huddle meetings, providing staff a meaningful opportunity to have their voices and ideas heard by the leadership team. During these visits, staff can update us on successes and/or bring up issues and barriers that they would like help with. Currently, there are more than 65 huddle boards in both inpatient areas and clinics. Huddles affect both patient safety and the patient experience. For example, Ian Morlock, RN on 1 North, identified that their infusion room was missing a handrail. This was corrected, reducing patient fall risk on the unit. Currently, more than 800 opportunities-for-improvement (OFIs) have been identified by staff members. These recommendations have improved our organization. For example, in the Special Care Nursery, babies are much less likely to have labs redrawn since an issue was identified and corrected through the OFI process. OFIs generated by one department are being shared with other departments, fostering greater problem-solving and inter-departmental communication between staff members. These are just a few examples of improvements that are a direct result of your engagement and caring. Please join me in thanking the Huddle Board Steering Committee Team: Michele Sternitzky, Chris Wehner, Darrin Judkins, Lisa Allen, Mary Nozykowski, and Teresa Southard. 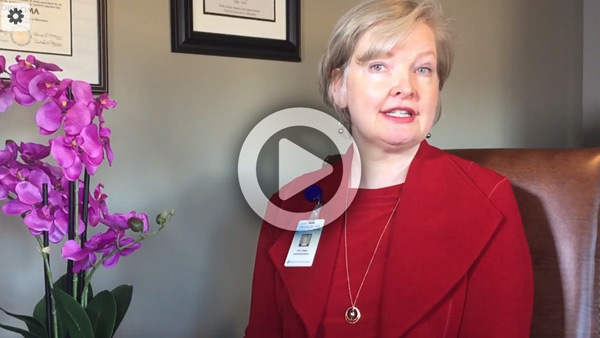 Please watch our video below that takes you into some of the huddle meetings that occur every day at BCH. I challenge you to continue your engagement with your work area’s huddle board and huddle. Together, we can keep improving patient care and create a work environment where you can thrive.